When you’re filing a worker’s compensation claim, it’s in your best interest to hire an attorney as soon as possible. Medical documents, insurance forms, and other complicated paperwork can be difficult to sort through and keep track of to your benefit. An experienced worker’s compensation lawyer can help you document the process from start to finish to help things go as smoothly as possible. Our legal team at Cirillo Legal, the best worker’s compensation law firm in New Haven, CT, has years of professional experience that will help you get the compensation you deserve. Even though hiring an attorney at the start is ideal, not everyone knows this, and they may find themselves in the middle of a complicated worker’s compensation case without any help. Here are four signs that it’s time to start working with a worker’s compensation lawyer. 1. Trouble with your employer or their insurance company during the worker’s compensation process is a big red flag. If your claim is denied, if you don’t receive your benefits in a timely manner, or if the settlement doesn’t cover everything, make sure to speak with a worker’s compensation lawyer. Sometimes, insurance companies will reject valid claims, and no one will ever appeal their decision. An experienced worker’s compensation attorney will be able to argue your case effectively in front of a judge and help you get the settlement you deserve. 2. Your employer may retaliate against you if you file a worker’s compensation claim. You will definitely need a worker’s compensation lawyer if this is the case. If your employer cuts your hours, demotes you, or even fires you after you file a claim, you may be entitled to punitive damages. Speak to one of our lawyers at Cirillo Legal if this has happened to you. 3. 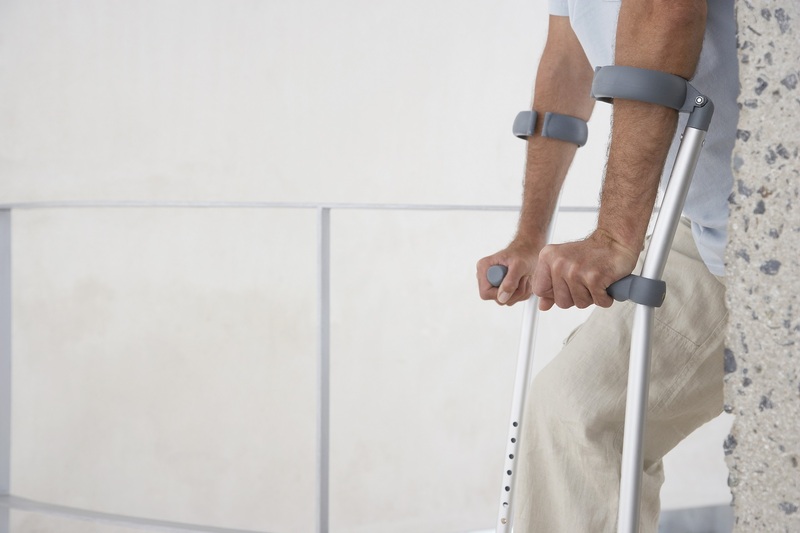 Serious medical issues can create many complicated circumstances in a worker’s compensation case. Some accidents may prevent you from returning to work. You may be permanently partially or totally disabled. If this is the case, you may be entitled to weekly payments or a single lump sum payment from your employer's insurer to make up for your lost wages. These are very expensive cases for insurance companies. It’s possible that your employer’s insurer may try to avoid paying you everything that you’re owed. Your employers and coworkers may be dishonest during this process as well. Hiring a worker’s compensation lawyer will give you an advantage in fighting their denials. 4. If you’re receiving social security benefits, it’s important to hire a worker’s compensation lawyer. The settlement you receive from the insurance company needs to be structured in a particular way for you to get the most out of it. An experienced worker’s compensation lawyer will be able to organize the terms of your settlement so that you get the most out of your worker's comp payments and your social security. Cirillo Legal, personal injury law firm in New Haven, CT provides a wide variety of legal services, including disability law, worker’s compensation, and criminal law. Visit our official website at http://cirillolegal.com/ for an in-depth look at the legal services offered by Cirillo Law Firm, popularly known as the best personal injury law firm in New Haven, CT. Our experienced lawyers will guide you through the process from beginning to end, using their expertise to your legal advantage. We are a professional law firm located in New Haven, CT.
Cirillo Law Firm has been practicing law and helping residents of New Haven and its surrounding areas since 1980. We promise that your case will be handled with professionalism and sensitivity. All Rights Reserved. Copyright Cirillo Law 2016. This website does not provide legal advice of any kind, and we cannot guarantee that the information is accurate, complete or up-to-date.